Bhagavad Gita Art Gallery--Plate 31: The universal form.. 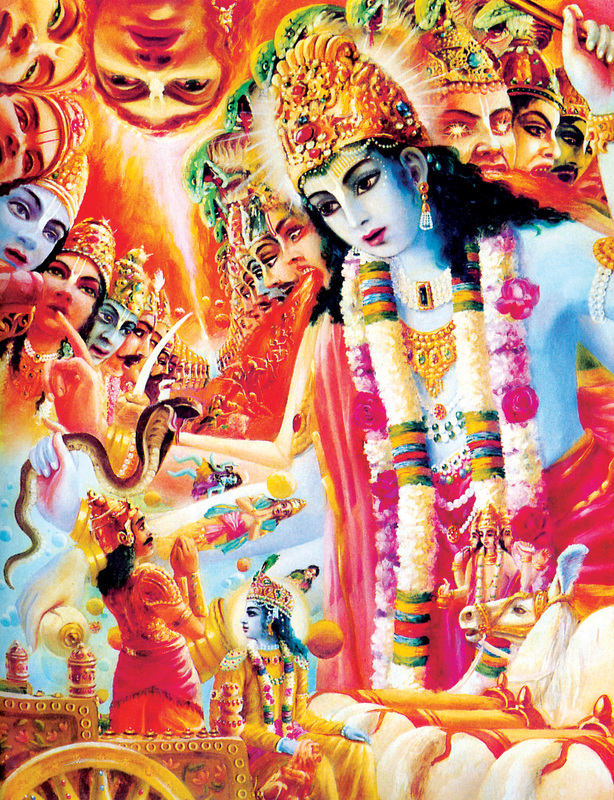 PREVIOUS Bhagavad-gita 11.13 Krsna's universal form is displayed to Arjuna. Still the Lord does not loose His original eternal identy,. He remains seated on the chariot with Arjuna.